Best Spearguns and Pole Spears 2019 | Written By Captain Cody! Spearfishing is the ultimate outdoor activity. It combines great aspects of both hunting and fishing. While sometimes it seems easy to dive down where the fish are and get the fish it is really much more involved than that. When spearfishing you leave the boat and enter what can be harsh ocean conditions. Once a fish is taken the fish is still fighting on the line. Also, the blood in the water can attract sharks so it is important to handle the fish carefully. Spearfishing is typically done on a reef where snapper, grouper, hogfish, kingfish, mackerel and cobia can be taken with a speargun. However, in some countries like the Bahamas spear-fishermen are not allowed to use a speargun with a trigger and are not allowed to take fish while scuba diving even with a pole spear or Hawaiian sling. Once you get good at spearfishing on reefs blue water spearfishing is considered the next level where people target, wahoo, tuna and mahi mahi. Most fish that can be kept while fishing can be taken with a speargun if the fish is legal size. There are some exceptions like tripletail which cannot be harvested with a speargun. Freediving is the best way to spearfish in my opinion. It is recommended to start out on shallow reefs less than 20 feet deep and then start working deeper as your spearfishing and freediving skills increase. Also, consider taking freediving lessons which will increase your freediving skills much more than you would probably realize. Below I will discuss the best spearguns to use to match the location and type of fish being targeted. The speargun we have had for years is the AB Biller 42 inch Special. This is about a 110 cm gun and is a great length spearfishing for the reef. It has about a 10-foot range and can be used in open water as well. The AB Biller Special series comes in lengths 24-60 inches which correlated to rage effectiveness of 6 to 15 feet. The power bands are two 9/16 inch rubber slings and have a 5/16 stainless steel shaft. This a beautiful gun and comes in three wood finishes, mahogany, teak and padauk. AB Biller special series spearfishing gun. Comes in lengths of 24, 32, 36, 42, 48, 54 and 60 inches. Riffe Euro has an open muzzle with magnets to hold the shaft in place. Speargun comes in lenghts 55, 75, 90, 100, 110 and 120 cm. Riffe Competitor Series spearfishing gun comes in lengths 27, 33, 39, 45, 48 and 55 inches. 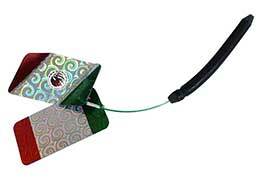 Riffe spearfishing 200 feet line capacity spool. There are lots of 3-6 foot pole spears on the market but they are flimsy and not very good at taking fish that are over 12 inches long. If you are going to pole spear I would recommend buying a sturdy and long pole spear over 8 feet long. The exception to this is when targeting lionfish, then a 2-foot sling pole spear is perfect. You can take it on a dive with you and it is easier to carry. Lionfish are not spooked easily and will sit in the same spot even if you shoot and miss so this is all that is typically needed. Neritic Big Blue pole spear is a sturdy three-piece pole spear. 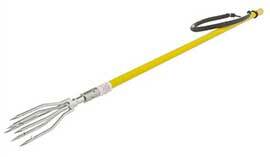 For areas where spearguns are not allowed or for divers that prefer a pole spear this pole spear is a great option. The Neritic Big Blue is a great speargun for small, medium and large fish on the reef or in blue water. The pole spears has two 3-foot sections and one 2-foot section and a two-foot injector rod. This means the gun can be made into 4,5,6,7,8 or ten-foot lengths. The longest length section is only three feet long so this is a great pole spear to use while traveling. I know people purchase these when going to the Bahamas because trigger spearguns are not allowed. The flared tip is connected to the injector rod with a magnetic slip-tip. A cable is also attached to the tip and spear. The tips slides off the front once a fish is taken. The pole spear also has 8 inch machined grooves in each section which are good for grip. Each threaded area has o-rings to ensure a secure fit. At the end of the spear there is a cable ring that can be connected to a float. The pole spear power band is very strong and can be knotted when the pole spear is shorter than its full length to still get a powerful shot. It is important to do a freshwater rinse to the threads and connector areas after each use. 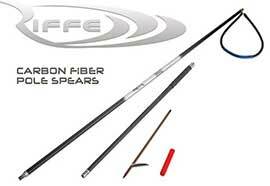 The 9 foot Riffe pole spear is another top quality option. This is also a three-piece pole spear. 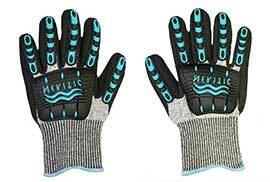 Neritic spearfishing dive gloves are a good idea when using large pole spears for a better grip. Lionfish 21 inch pole spear. For lionFish a two to four-foot pole spear is all that is needed. Make sure you handle lionfish properly because they have a poisonous barbs and spines that will hurt an unbelievable amount and swell the affected area for days to months. 24-inch lionfish zookeeper to hold lionfish while spearfishing. Cresssi Apache speargun 30-inch model. When starting out with spearguns people typically want two things and band that is easy to pull and a gun that can still take fish. The Cressi Apache does both of these. There is also a lionfish edition that comes with a three-pronged point. This is a good beginner gun or speargun for kids so they can target practice and get familiar with using spearguns. Cheap spearguns can still be powerful and take large fish but are going to have a few drawbacks. These guns are light and have more recoil than wood spearguns. The spear shaft floats above the guns and travels through a muzzle which makes them less accurate. These guns are air filled and are less neutrally buoyant. Good entry level guns will likely last a few years but have plastic parts that are going to wear out with age and use. A typically good but lower cost speargun used a 7 mm spear and is 90 – 110 cm in length. All that being said this is a good option for people that only go spearfishing during vacations a couple of times a year. Cressi Comanche power band speargun comes in lengths 60, 75, 90, 100 and 110 cm. In English units the lengths are 23.6, 29.5, 35.4 and 43.5 inches. This is a decent speargun, one important thing I would recommend doing is adding a shock cord to the speargun line. Many users reports line snapping after several shots without the shock cord. Also users say the band can be difficult to pull initially which is true of most powerful spearguns. The longer the speargun the more power or energy obtained. If the band is to difficult longer power bands can be purchased, just go one size longer. I describe both of these items below. Cressi shock cord for speargun rope tether. 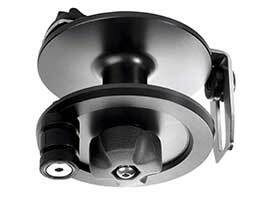 Cressi reel with 100, 130 and 160 feet line capacity. Kevlar braided line for speargun reel. Replacement power bands for the cressi competition series spearguns. Flasher for blue water spear fishing. This flasher slowly sinks and spins which can bring fish in closer for a shot while spearfishing. Stainless steel rattle filled with BBs to make noise underwater to attract fish closer. Twisting and crushing a plastic water bottle underwater is know to work to attract bull sharks and other game fish as well. Heavy duty stainless steel dive stringer to use while spearfishing. 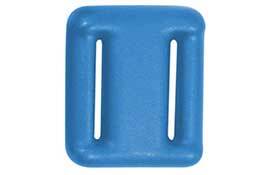 SPORASUB Blue Water Float to attach to a float line and then to the spear when targeting large fish. Speargun float line in lengths of 50, 75, 100 and 125 feet. 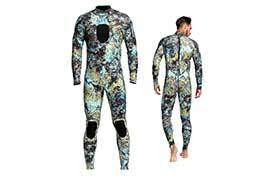 Cammo 3mm neoprene one piece wetsuit. Sea Pearls vinyl coated lace thru weights for a weight belt. Come in 1, 2, 3, 4, 5, 6, 7, 8, 10 and 12 pound sizes. Color options are black, blue and yellow. 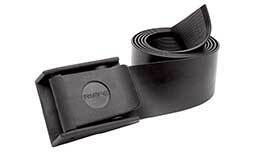 Riffe Rubber Weight Belt with Buckle that is 54 inches long and two inches wide. 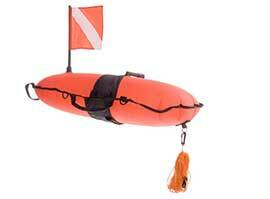 Boat follow buoy for the vessel to follow while drift diving or for general diver safety. 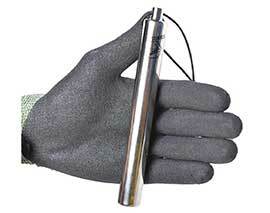 While spearfishing either with scuba diving gear or freediving I would strongly suggest having a PLB in a submersible canister on your person. Visit our PLB Page to learn more about these devices! This could save your life if you are separated from the boat or get swept out to sea from the shore. This is a video last time I tried spearfishing in blue water. Normally I am not scared of sharks but these sharks were following the large school of tuna and it seemed like a good idea get out of the water. Thanks for visiting Global Fishing Reports. I hope these suggestions help you catch more fish when spearfishing! If you have any suggestions for top spearfishing gear, leave a comment below!